1. From the very beginning, the outcome of the ISU case was highly predictable, at least for those who are familiar with the basics of antitrust law. Nevertheless, more than twenty years after the Bosman judgment, the sports sector has shown the same shortsightedness and inability to see the forest for the trees. Even this attitude was highly predictable, at least for those who know the basics of sports governance. The final result is a clear-cut decision capable of influencing the entire sports movement. 2. On the 8th of December 2017, the European Commission ruled that ISU’s eligibility rules breached EU competition law. In particular, the Commission focused on the ISU’s eligibility rule, according to which speed skaters participating in competitions that were not approved by the ISU face severe penalties up to a lifetime ban from all major international speed skating events. The Commission found that such rules restrict competition and enable the ISU to pursue its own commercial interests to the detriment of athletes and organizers of competing events. In sharp contrast with the Commission’s decision is the ISU’s statement published the same day. Indeed, according to the ISU the Commission’s decision is wrong because it fails to consider the specific nature of sports by putting commercial interests ahead of the principles of integrity, health and safety that protect fair play in sport. For this reason the statement ends with the ISU’s reserve to appeal the decision. 3. As it often occurs, small cases (that is cases involving almost unknown athletes or less popular sports and for this reason often underestimated) are able to generate consequences of great importance, presenting many aspects of interest to scholars of EU sports law: this is the case of the ISU affair. 4. First of all, it is a matter of common knowledge that the Commission tends not to intervene in cases dealing with regulatory and organizational aspects of sport. To this regard, it is sufficient to consider that in the 1999 Mouscron case the Commission took the view that the UEFA Cup rule requiring that each club must play its home match at its own ground ("at home and away from home" rule) was a sports rule that did not fall within the scope of the Treaty's competition rules and therefore rejected the complaint. In the 2001 FIA case the Commission closed various anti-trust investigations into certain regulations and commercial arrangements involving Formula One after the parties agreed to make changes which limited the FIA to a regulatory role, so as to prevent any conflict of interests and remove certain commercial restrictions imposed on circuit owners and TV broadcasters. Similarly, in the 2002 FIFA case, the Commission closed its investigation into the rules governing international transfers of football players, in which it formally rejected the complaints related to FIFA in the light of the adoption of new rules capable of balancing a player’s fundamental right to free movement and stability of contracts together with the legitimate objective of integrity of the sport and the stability of championships. Lastly, in the 2002 UEFA multi-ownership rule case the Commission established that the purpose of the rule was not to distort competition, but to guarantee the integrity of the competitions it organizes and rejected the complaint. More recently, in the 2011 Formula One Engine Manufacturers case and the 2014 Financial Fair-Play case the Commission rejected the complaints because of a lack of community interest. In this context, even from a purely statistical point of view, the ISU decision cannot be underestimated. «no affiliated Member shall have any kind of relationship with a non-affiliated or suspended body (…). Any individual or group violating this Rule shall be suspended by the affiliated Member for a minimum period of one year, up to a maximum period of two years. (…). Each Member that conducts a competition shall strictly enforce the FINA Rules governing eligibility». «an eligible gymnast is any gymnast who abides by the eligibility rules of the FIG and the gymnast's National Federation. In any competition sanctioned or conducted by the FIG, each National Federation is responsible for certifying the eligibility of gymnasts from its country. Only gymnasts meeting the requirements of Regulation I are authorised to participate in official competitions and particularly those competitions which qualify gymnasts for Olympic Games and Youth Olympic Games (…). A gymnast may not: (…); b) take part in any gymnastic competition or exhibition which is not sanctioned by the FIG or his/her National Federation (…). Any gymnast infringing these rules, after their enforcement, may not claim to be eligible to participate in the Olympic Games and Youth Olympic Games or qualifying tournaments for the Games». «it is prohibited for any National Association, and for any organisation or individual (including Athletes, technical officials, umpires, coaching or management staff) under the jurisdiction of a National Association, to participate in any manner in an Unsanctioned Event. Any Athlete or other individual who participates in any capacity in an Unsanctioned Event is automatically ineligible for twelve months thereafter to participate in any capacity in any International Event». «no licence holder may participate in an event that has not been included on a national, continental or world calendar or that has not been recognised by a national federation, a continental confederation or the UCI». As a consequence, the ISU decision goes far beyond the specific sport considered (speed skating) and represents a clear message sent by the Commission to the entire sports world. 6. From this point of view, it is important not to forget that before the Commission there are still pending two complaints lodged respectively by the Euroleague Basketball and by FIBA. The dispute between FIBA and Euroleague Basketball goes back to the end of 2015 when FIBA announced the creation of a basketball Champions League in direct competition with the two European professional clubs’ competitions organized by the ECA. In order to force professional clubs to participate in the new Basketball Champions League, FIBA did not hesitate to put pressure on national federations threatening the possibility of excluding their national teams from participation in main competitions such as EuroBasket and the Olympic Games. According to the Euroleague Basketball the complaint «targets the unacceptable and illegal threats and pressures that FIBA and its member federations are making against clubs, players and referees to force them to abandon the Euroleague and the EuroCup and only participate in FIBA competitions. The complaint's objective is to guarantee that clubs, players and referees can freely make the choice to participate in the competitions that they consider appropriate without being subject to threats or pressures. FIBA is violating European Union law because, in a blatant conflict of interest, FIBA has rules on its books that provide for sanctions against those who are involved in competitions not approved by FIBA». In a completely specular way, FIBA has lodged a complaint against the Euroleague Basketball alleging an abusive tying by imposing undue pressure on leagues and clubs, as well as threatening exclusion from the Euroleague unless they commit to the EuroCup (…); a “syndication agreement” circulated among the 11 A license clubs who hold the majority of votes in ECA, meaning that six clubs control ECA, including all Euroleague and EuroCup decisions in sporting and commercial matters; arbitrarily cherry-picking clubs for Euroleague and EuroCup, which means destroying any commercial and sporting value of domestic leagues and undermining the competitive balance in European basketball; abusively discriminating against financially weaker clubs, thereby placing them at a further competitive disadvantage». However, the FIBA/Euroleague dispute involves another fundamental aspect related to the scheduling of competitions. According to FIBA, the new Euroleague calendar does not include windows of time for national team competitions in February or November, and for this reason, the Euroleague is preventing the release of players to national team competitions. On the contrary, according to the Euroleague, FIBA’s new windows in February and November represent a change from the past where international competitions, including the World Cup qualifiers, were held in the summer, during the offseason for most leagues. Although different in many respects compared to the ISU case, the FIBA/Euroleague affair raises again the problem of conflict of interest when sports federations pretend to exercise autonomously their regulatory power for the sake of the organization of sport and to simultaneously carry out an economic activity related to the organization of sporting events. In consideration of the dual nature of sports federations, the basic problem to be solved is to clarify if and to what extent the conduct of a sports federation is legitimate when it uses its regulatory power to exclude or marginalize third parties from the market of the organization of sporting events. 7. Going back to the merit of the ISU affair and waiting to read the decision, the Commission’s press release and the statement by Commissioner Vestager are very important in order to better understand the scope and limits of the decision. The decision is not about the pyramid structure of European sports. The principle of a single federation for each sport and the right of the federations to organise competition from local to international levels is a milestone of the European model of sport. In this context the decision does not question the right of sports federations to enact rules necessary to achieve those goals. However, the ISU decision confirms that sport is not just for fun, but it is also a business. 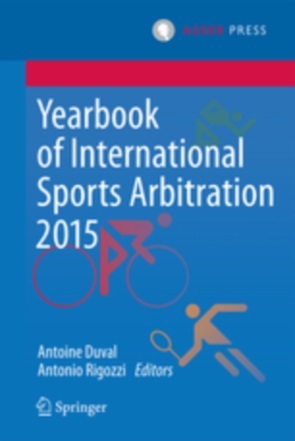 Therefore, although the Commission does not intend “to be the referee in every dispute about sport”, in matters dealing with the economic dimension of sport, sports federations must understand that the business of sports has to comply with competition rules. This means that the sole fact that eligibility rules or any other rule enacted by sports federations pursue a legitimate objective (for example, the protection of athletes’ health, the integrity and the proper conduct of sport, the fight against doping) does not represent a valid justification to put those rules outside the scope of EU law. Indeed, according to the Court of Justice’s case law, sporting rules set up by sports federations are compatible with EU law only if they pursue a legitimate objective and the restrictions that they create are inherent and proportionate to reaching this objective. Therefore, in cases relating to the exercise of regulatory power by sports federations the problem does not concern the legitimate nature of the objectives pursued. Generally speaking, in all the cases examined by the Commission and National antitrust authorities, the legitimacy of the objectives pursued by the federations has never been questioned. On the contrary, in those cases the problem was the inherent and proportionate character of the restrictions created by the federations through the exercise of their regulatory power. From this point of view, therefore, it can be said that it must certainly be considered inherent and proportionate to the objective of ensuring the integrity of the sport the rule requiring the athletes who participate in an event not authorized by the respective federation to undergo, at their own expense, an anti-doping tests before being able to attend an event organized by the federation. Quite the reverse, a clause sanctioning the athlete who participates in a competition not authorized by the federation with a lifetime ban from all the events organized by the federation appears totally disproportionate. Similarly, it must certainly be considered inherent and proportionate to the objective of ensuring the integrity of the sport the rule requiring anyone who intends to organize a sporting event outside the federation to ensure compliance with the rules of the game, as elaborated by the federation, and the anti-doping controls. In contrast, the clause that imposes on the organizer of an event the obligation to respect the rules of the federation in regards to the choice of the athletes or teams admitted to participate in such competition must be considered disproportionate. Although it is true that the European model of sport expressly refers to the mechanism of promotion and relegation as a distinguishing feature compared to the US model, it is equally true that the Commission has never qualified the structure of open leagues as a legitimate objective capable of justifying the provision of rules restricting competition or the free movement of persons. Moreover, even considering the model of the open leagues a necessary feature of the European sports model, it must be emphasized that the organization of a sporting event based on a system of special licenses is not in itself in contrast with the founding values ​​of the European sports model. On the one hand, the existence of other events (national and European) characterized by the traditional mechanisms of promotion and relegation represents the best safeguard of the European model of sport. However, it is clear that in order to protect the meritocratic criterion behind the mechanism of promotion and relegation it is sufficient to provide a mixed system where some athletes or teams are admitted on the basis of a licence and other athletes/teams are admitted on the basis of the results achieved on the pitch. 8. We can imagine the ISU’s disappointment regarding the Commission’s decision. On the contrary, what is really difficult to understand is the ISU’s position shown in the statement published on the same day of the Commission’s decision. The idea that the Commission’s decision fails to consider the specific nature of sport is simply nonsense considering the rather vague nature of the notion of specificity of sports, especially in the post Meca Medina era. Similarly, the idea that the Commission’s decision puts commercial interests ahead of the principles of integrity, health, and safety that protect fair play in sports has no legal basis. 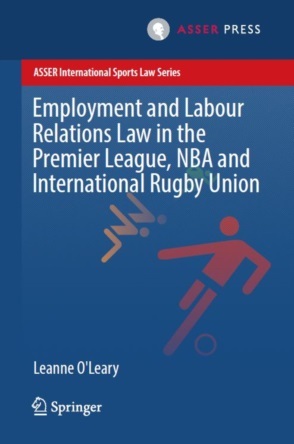 In the same way, the idea that the decision is contrary to the Treaty, which recognizes the voluntary, social, and educational functions of sports reveals a serious lack of knowledge of the basics of EU law applied to the sports sector. On the other hand, the ISU correctly affirms that its eligibility rules—similar to the eligibility rules of many other international sports federations—ensure the protection of the health and safety of athletes at all authorized events as well as the integrity of sports events, and that these rules are essential to the role of international federations as the guardians of sports movement. However, it is easy to assert that the Commission’s decision does not question this argument and the fundamental role of international federations to organize the proper and correct conduct of sport. To this regard, the decision not to impose a fine on the ISU is a clear signal. Another signal is represented by the recognition that there are many disputes which have little or nothing at all to do with competition rules as they raise primarily issues related to the governance of a sport. In other words, sports federations must understand that the sole fact that they are charged to guarantee the integrity and proper conduct of their sport, the protection of athletes’ health, and other fundamental values related to sports does not automatically mean that the rules enacted to pursue these objectives cannot be scrutinized through the lens of EU law. Once and for all, it should be understood that when the exercise of regulatory power by sports federations is able to affect the distinct market of the organization of sports events, in which sports federations compete with other sports events organisers, EU law applies. This new context should have been evident following the Bosman ruling and, above all, after the Meca Medina judgment. Unfortunately, the ISU decision (and the ISU’s reaction) confirms that this is not yet the case. On this subject it is worthy to note that the statement by Commissioner Vestager on the ISU decision clearly highlights that things like the penalties for doping or match-fixing, or deciding the precise scheduling have little or nothing at all to do with antitrust. For these, sports organisations must live up to their responsibilities and find solutions and mechanisms for solving disputes that deliver the results that the public and the athletes deserve.